Many of us tend to take wealth and good health for granted. If we take a moment to realize the randomness of life it can be a shock. ‘Spieren voor Spieren’ is a fundraiser to finance research to overcome neuromuscular disease. Zeelander was proud to sponsor this noble cause. Spieren voor Spieren hosted an auction during a gala dinner at the ‘Hotels van Oranje’ in ‘Noordwijk aan Zee’ earlier this month. 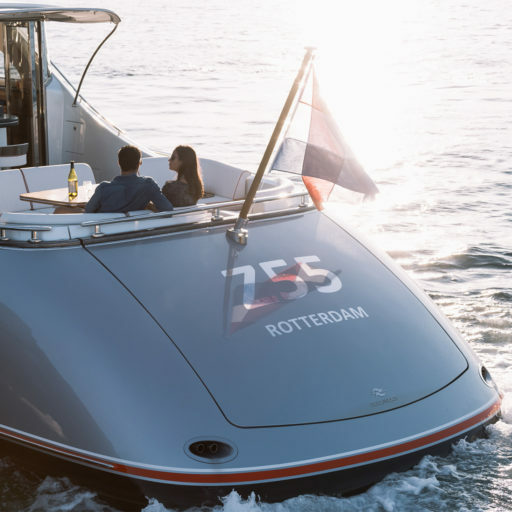 Zeelander Yachts partnered with Gassan Diamonds (leading jeweller and gem stone specialist) to offer a sailing master class with Olympic Gold medallist – Marit Bouwmeester – to the highest bidder. We are proud that our auction item sold for a handsome figure and that Zeelander is able to contribute to a better life for those in need.